#TBT (Throwback Thursday) is a fun way to take a trip down memory lane. Let's travel back to September 8, 2014, the day the Nerdy Book Club, Colby Sharp, and I celebrated Kelly Light's Louise Loves Art. I wrote the words in red, and Kelly Light wrote the words in black. Thank you, Kelly! The book trailer for Louise Loves Art was the first time I have participated in anything animated since 1995. (I was 25 then) When I saw the first pencil test, my heart nearly burst with happiness. The idea for Louise Loves Art was a combination of remembering who I was as a kid who was obsessed with art, watching my own daughter fall in love with drawing and thinking about how little importance was placed on visual art in her elementary school education. Louise and her brother are like most younger/older siblings who may annoy each other from time to time, but always, love each other. I hope art teachers get more attention for the work they do cultivating young imaginations. School libraries are like art classes; imagination expanders. Reading is the yin to Art’s yang. Picture books are an Imax movie to a kid on your lap. Mr. Schu, you should have asked me about “The Cat” in the Louise books! The cat, like a lot of things in Louise’s world is something from my own world. I had a black cat for 11 years, named Anakin, that I loved so much. I always wanted a black cat because I grew up watching Laverne and Shirley and always wanted my own Boo Boo Kitty!! So the cat in the book resembles Boo Boo Kitty and has a secret name. 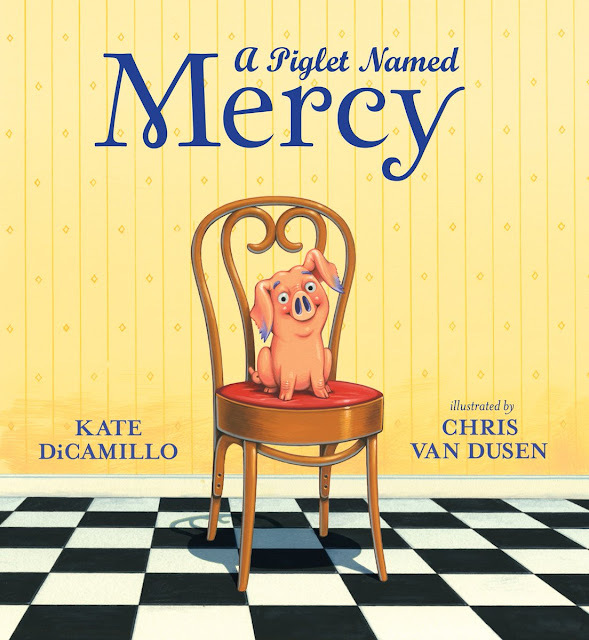 "I can remember the feeling of sitting in first grade class, my heart beating wildly, trying to slide down on my little blue chair behind the kid in front of me and saying over and over again in my head, 'Oh...Ms. Bianci...don’t pick me, don’t pick me, don’t pick me...'" - Kelly Light |Click here to continue reading Kelly's blog post. Visit Colby Sharp's blog to read his review of Louise Loves Art. 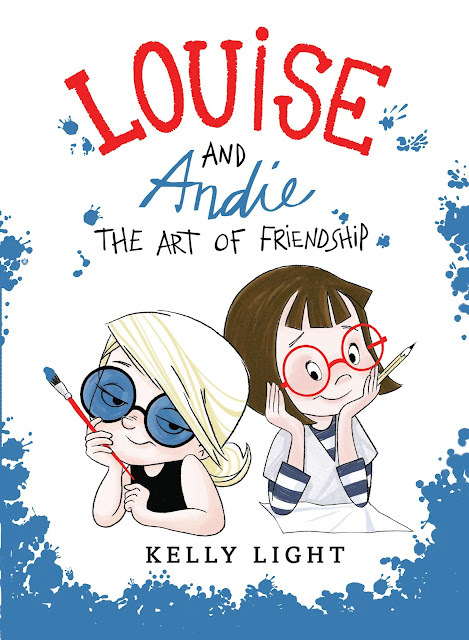 Are you ready to see the cover for Louise and Andie: The Art of Friendship? Drum roll, please! Tada! Isn't it gorgeous? Yes. Don't you want to read it right now? Yes. Won't it look perfect on display next to the plush MerryMakers created? Yes. You can wait until June 14, 2016 to read it, right? What? I've been WAITING for book 2 since I finished reading Louise Loves Art. I'll try my best to WAIT patiently, but WAITING IS NOT EASY!